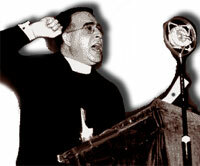 One major threat to FDR came from Father Charles E. Coughlin, a radio priest from Detroit. Originally a supporter of the New Deal, Coughlin turned against Roosevelt when he refused to nationalize the banking system and provide for the free coinage of silver. As the decade progressed, Coughlin turned openly anti-Semitic, blaming the Great Depression on an international conspiracy of Jewish bankers. Coughlin formed the National Union for Social Justice and reached a weekly audience of 40 million radio listeners. Advocating a program to "share the wealth," U.S. Senator from Louisiana Huey "Kingfish" Long in August 1935 announced his intention to run for President against FDR, but an assassin's bullet ended his life less than a month later. Another reformer who felt the New Deal had not gone far enough was Francis Townsend, a doctor from Long Beach, California. Townsend proposed the Old Age Revolving Pension. This plan called for every American over the age of sixty to retire to open up jobs for the younger unemployed. The retirees would receive a monthly check for $200, a considerable income during the Depression. There was one catch. The recipients had to agree to spend the entire sum within a month. Townsend argued that this plan would ignite the economy, as well as provide for a proper pension for those who had worked so hard for so long. 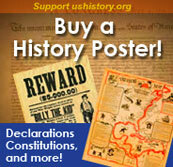 The person considered the greatest threat to Roosevelt politically was Huey "the Kingfish" Long of Louisiana. 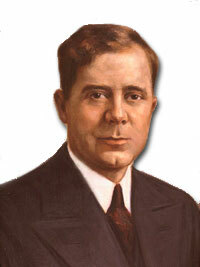 Long was a rollicking country lawyer who became governor of Louisiana in 1928. As governor, Long used strong-arm tactics to intimidate the legislature into providing roads and bridges to the poorest parts of the state. He emerged onto the national scene with his election to the United States Senate in 1930. In 1934, he started a movement called "Share Our Wealth." With the motto "Every Man a King," Long proposed a 100% tax on personal fortunes exceeding a million dollars. The elderly would receive pensions. The poorest Americans were promised an estate worth no less than $5000, with a $2500 yearly minimum income guaranteed. Democrats worried that a Long bid for the Presidency might steal votes from FDR in 1936, but an assassin's bullet ended the Kingfish's life in 1935. 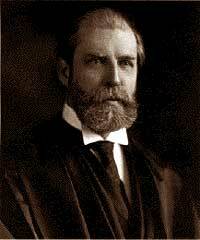 As Chief Justice of the Supreme Court during the New Deal, Charles Evans Hughes often voted to uphold controversial legislation. But there was little doubt when it came to FDR's "court-packing scheme" — Hughes was vehemently opposed. Despite his reelection landslide, Roosevelt's mainstream opponents gained steam in the latter part of the decade. Frustrated by a conservative Supreme Court overturning New Deal initiatives, FDR hatched a "court packing" scheme. He proposed that when a federal judge reached the age of seventy and failed to retire, the President could add an additional justice to the bench. This thinly veiled scheme would immediately enable him to appoint six justices to the high court. Conservative Democrats and Republicans charged FDR with abuse of power and failed to support the plan. During the 1938 Congressional elections, Roosevelt campaigned vigorously against anti-New deal Democrats. In nearly every case, the conservatives won. This coalition of Southern Democrats and Republicans dominated the Congress until the 1960s and effectively ended the reform spirit of the New Deal. From the Social Security Administration's "History" webpage, this summary of Father Charles Coughlin's controversial radio empire introduces you to one of the most influential public figures of the era. A third of the United States tuned in to hear his harsh criticisms of FDR in the 1930s. Selections of these broadcasts, in RealAudio format, are offered here. This article originally appeared in the Los Angeles Times Sunday Magazine in 1933. The author supports Francis Townsend's Old Age Revolving Pension Plan. By giving money to the elderly under the condition that they spend it immediately, the author believes that economic hardships will end. A swift introduction to Townsend's proposed reforms. This short biography of Huey Long from the Louisiana Almanac gives you the fast facts on the man known as "Kingfish." Includes sections on his time as Governor of Louisiana and as a U.S. Senator, as well as a piece on his assassination in 1935. A short list of books on Long will guide your library search. In the first radio address of his second term, FDR voiced his frustration with a Supreme Court that was resisting much of his New Deal legislation. "We must take action to save the Constitution from the Court and the Court from itself," he declared. In this historic address, available here in RealAudio, Roosevelt proposed the controversial legislation that many critics protested as "packing the court." In one of the longest filibusters in the history of the U.S. Senate, Senator Huey Long rambled on for more than 15 hours, lecturing on the Constitution as well as recipes for fried oysters.